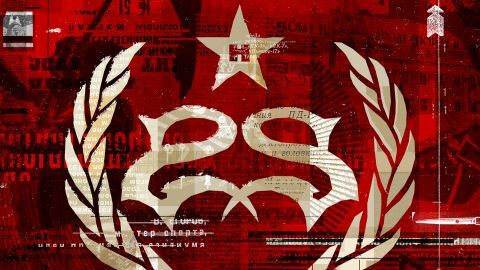 Following a pair of covers EPs, Stone Sour have returned with their first full-length album in four years, and their first without founding member Jim Root. Having been (wrongly) lumped in with metal throughout their 15-year career, thanks to the day job of one Corey Taylor, this is an ambitious offering at the dirtier, swaggering end of old-school rock’n’roll. Drawing inspiration from the skyscraper-size songs and hooks of the 80s and 90s, Hydrograd is littered with rollicking choruses and infectious whoooahs. But while Taylor’s vocal ability is more than up to the challenge, there’s a lack of cohesion. Keen to show off their various influences and songwriting chops, the mishmash of styles is disjointed, removing you from the world Stone Sour are trying to create. Sure, there are standout, radio-ready moments, with Song #3 and Fabuless, while the bounce-along Friday Knights propels your arms into the air, but the grit has been sandblasted away and the edges polished. And with 15 tracks, it’s a bit of a slog. Still, when it hits, they know how to hit hard.